THE MONDAY MORNING cobwebs are slowly clearing. NOT. It will be Tuesday until I feel better after Saturday. That's because we are still recovering after a riotous and righteous Six String Heroes party Saturday at Turner Hall. We knew it was going to be a good one when the place was filled by 7 p.m.
Liz Bentley was her usually great self. One of the Six String Heroes guys said he'd seen her a year ago, and she was already pretty good then, but he couldn't believe how good she is now. Liz even let me get up there with her and mess up a couple of songs. Vancil Performing Arts band Clockwork keeps getting better, too. 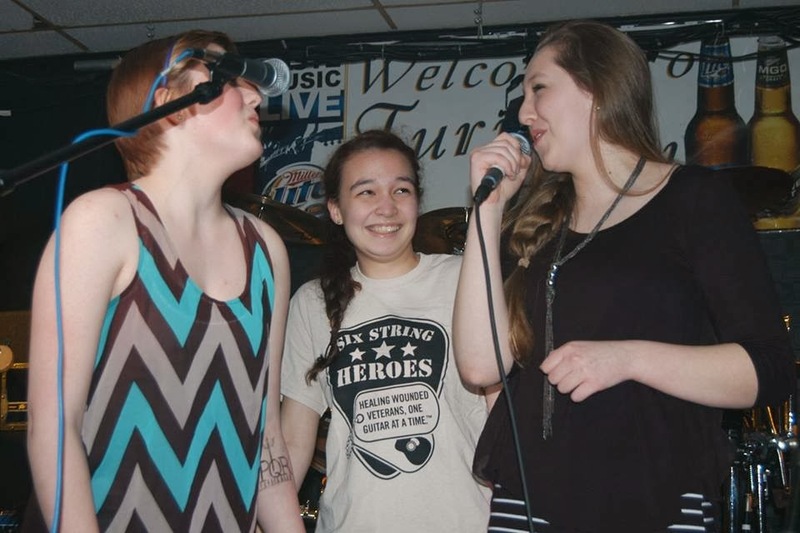 Then there's our girls, Sam, Sami and Savana, who knocked it out of the park and had the whole place spellbound with their version of Seven Bridges Road. As you can see in this photo, these girls need to have a little bit more fun. GUH. And the Cheeseburgers had a blast, as usual. It was great jamming with John Hodge, former guitar player, and even big Mike Carter played bass with us. And Lenny Alderton was flawless during his stint behind the drums. Cheeseburger Roadie of Doom Frank Haxel is one happy man. 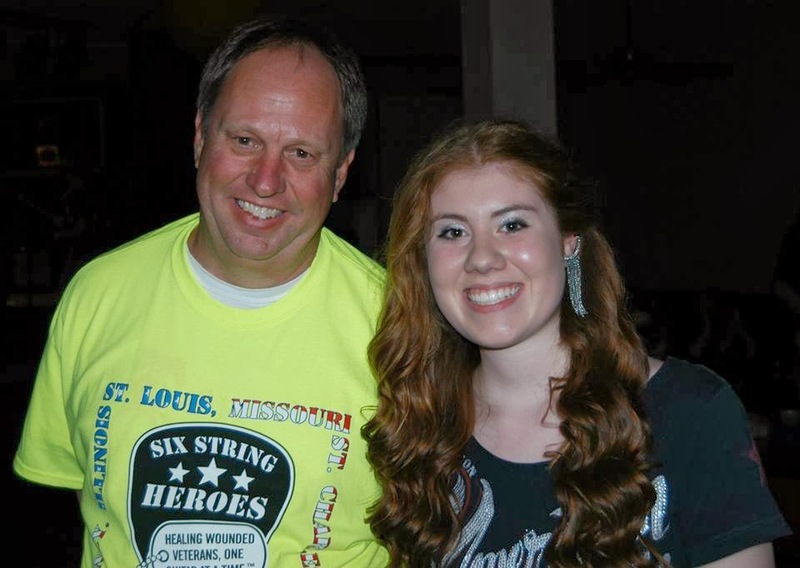 This event is his baby, and his baby raised more than $6,000 for Six String Heroes. Much of that came from the Blue Cross/Blue Shield gals, led by Sara Heiden. They won't take no for an answer and they also have too much fun. Frank and Liz are happy. Then Frank got his bar tab. GUH. Kevin Sullivan and Steve Stoner, the co-founders of Six String Heroes at Jefferson Barracks, are tired but happy guys, too. They brought a bunch of the St. Louis folks up with them, and I hope we showed them some old fashioned Quincy hospitality and fun. As for the Burgers, we get ready for a Friday night gig at One Restaurant and Saturday night at the Lakeview Winery in Carthage, both St. Patrick's gigs. We are also going to play at the Ted Tappe Cancer Crush party in April, with more details to come. Phew! This Cheesey fun is tiring!